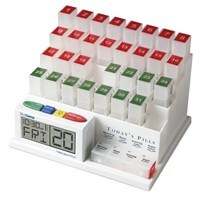 This handy kit includes seven Large Capacity Pill Boxes (marked with the days of the week) in a convenient and durable nylon case. 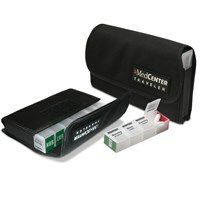 The MedCenter Traveler XL fits conveniently in a carry on or suitcase. 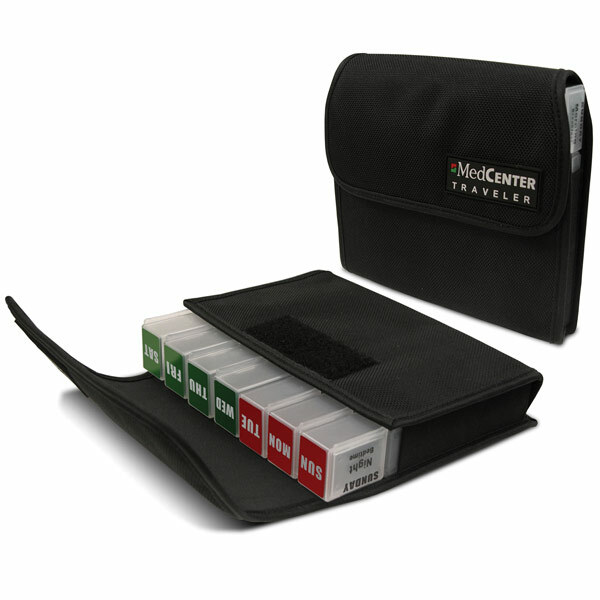 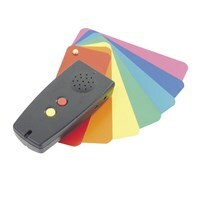 The Traveler XL also works directly with the MedCenter Talking Alarm Clock (sold separately) to create a weekly organizer and reminder system. 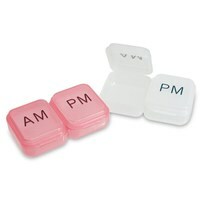 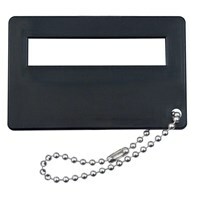 Black nylon with clear pill boxes.